Residents across Wairarapa are now able to dispose of electronic waste free of charge at transfer stations. From Monday 1st October the Masterton, Carterton, and Martinborough transfer stations began accepting electronic waste at no cost.Residents can dispose of unwanted electronic goods such as computers, laptops, car batteries, DVD and CD players, routers, household whiteware and kitchen appliances. Other items such as stoves, microwaves, dishwashers, ovens, vacuum cleaners and washing machines are also accepted. 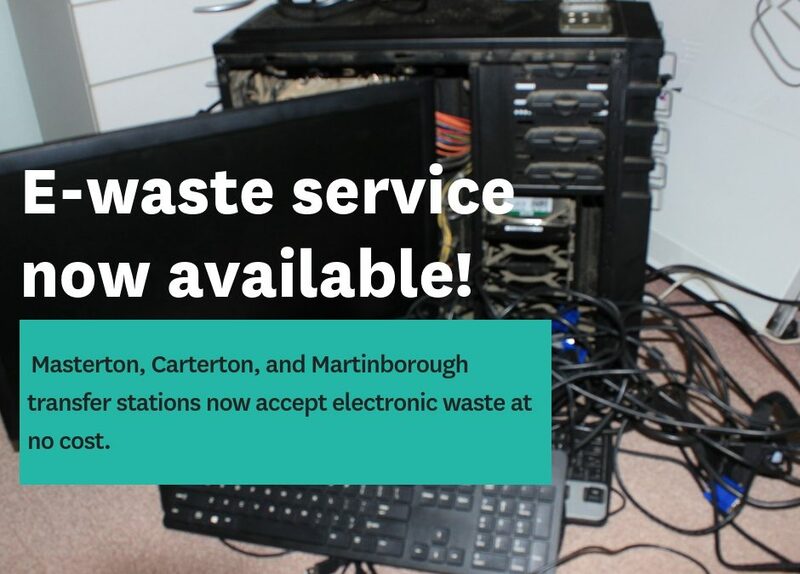 The establishment of the e-waste drop off services was proposed in Masterton, Carterton and South Wairarapa’s long-term plan consultation and received support from residents. The initiative is intended to reduce e-waste being landfilled and enable valuable electronic materials to be recovered. It also replaces the TV take back programme discontinued by the Ministry for the Environment. Note to editors: Damaged or disassembled items can only be taken to Masterton, Carterton or Martinborough for disposal and will incur a cost.